I bought this product to test and compare it to the Inglot lip paints that I love( blogpost coming soon on that one) and I must say I am quite disappointed. So Sportsgirl has some amazing make up goodies and I totally love their lipsticks and lip glosses so I picked up this lip paint in 'Imagine That' thinking I have found a dupe for some expensive lip paints. It retails for $7.95 which is a bargain compared to Inglot which is $23. 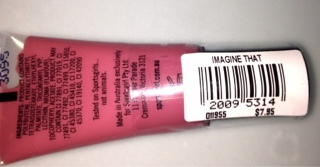 The colour I bought looks like a rosy pink but on the lips it came out lighter than what it looks like in the tube. What I think of this product- I hate it!!! It is so difficult to work with. I did one thin layer and it made the cracks of my lips visible. I put on another thin layer and it made it worse. Worst of all it is soooo sticky!!! I couldn't capture it but if i closed my lips and opened them there would be peaks on the inner part of my lips which indicates stickyness. I am not sure if I like the formula because Inglot lip paints look flawless on the lips and this one just made my lips look bad. 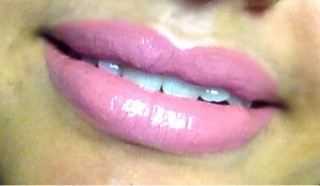 Also the colour in the tube and the colour on my lips look so different. I applied it using a lip brush and also tried straight from the tube but no luck because it is so heavy and sticky on the lips I just can't like it. So there goes my $7.95 in the bin unless someone can tell me how to deal with it and make it work. 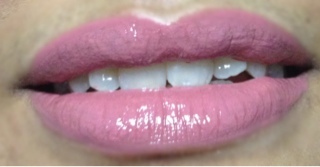 Have you tried the Sportsgirl lip paints? What do you think of them??? nice lotd. . .the colour is suitng u alot. . .